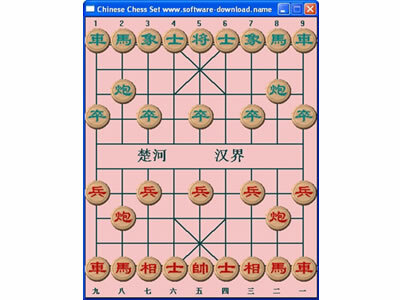 Best Chinese Chess, Just like western Chess, the aim of the Chinese Chess is to capture your opponent’s King. You have seven pieces at your disposal, each with their own rules of movement. The board includes diagonal lines as well as horizontal ones, and pieces move along lines stopping where they intersect. The blank area in the middle of the board represents the Yellow River that divides north and south China. The major pieces in Chinese Chess come into play much quicker, allowing for a faster and less drawn out game. Chinese Chess Set Chinese Chess application is renowned for its superb playability for players of all levels from beginner to expert. Whatever level of Chinese Chess you play at, you can be sure that Chinese Chess Set game will give you a stimulating and challenging game.